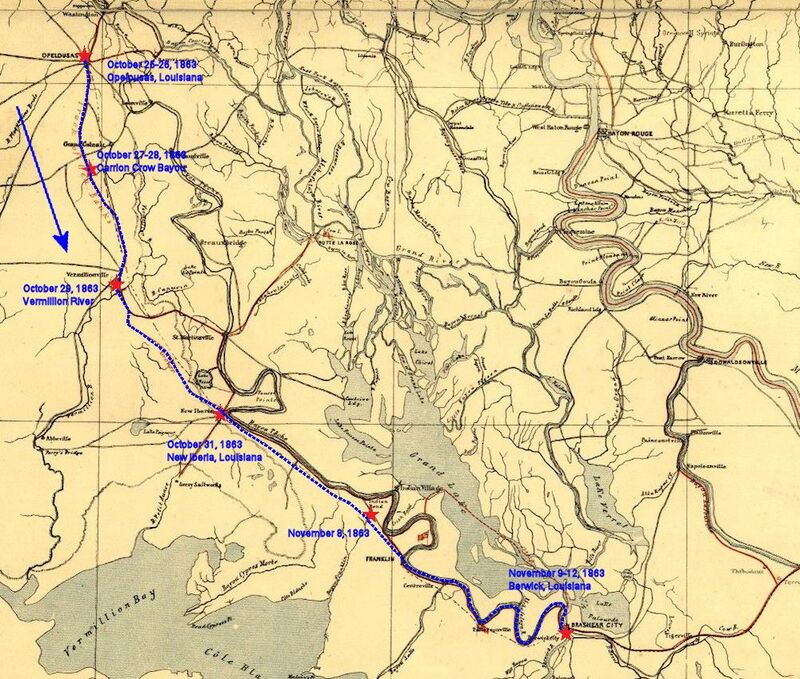 On this day the 16th Ohio again boarded wagons and rode to Franklin, Louisiana, seven miles to the southeast, arriving there at 10:00 am. 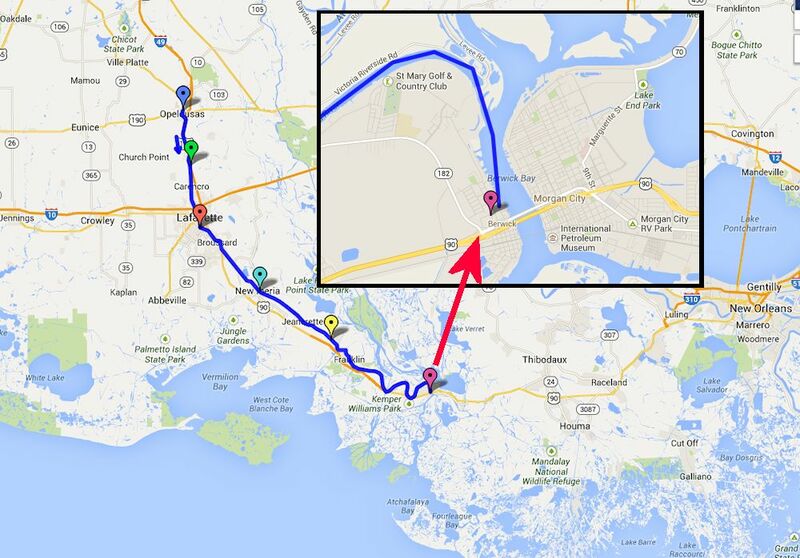 At Franklin, the regiment boarded steamboats and travelled 27 miles down Bayou Teche to the town of Berwick, opposite Brashear City (Morgan City), Louisiana, where they disembarked late in the evening. The regiment would stay at Berwick for three days. 1863 military map showing the approximate route of the 16th Ohio from above Franklin to Berwick, Louisiana, on November 9, 1863. Modern day map showing showing the approximate route of the 16th Ohio from above Franklin to Berwick, Louisiana, on November 9, 1863. Red pin - Approximate location of the 16th Ohio on the Vermilion River near Vermilionville (Lafayette), October 29, 1863. Aqua pin - Location of the 16th Ohio at New Iberia, Louisiana, October 30 to November 7, 1863. Yellow pin - Approximate location of the 16th Ohio on November 8, 1863, eight miles northeast of Franklin, Louisiana. Lavender pin - Approximate location of the 16th Ohio on November 9, 1863, at Berwick, Louisiana.